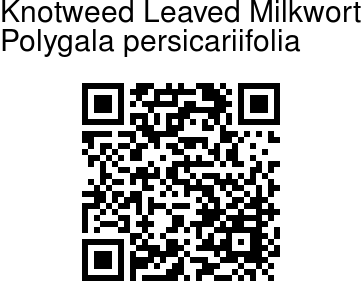 Knotweed Leaved Milkwort is an annual herb, growing to 20 cm tall. 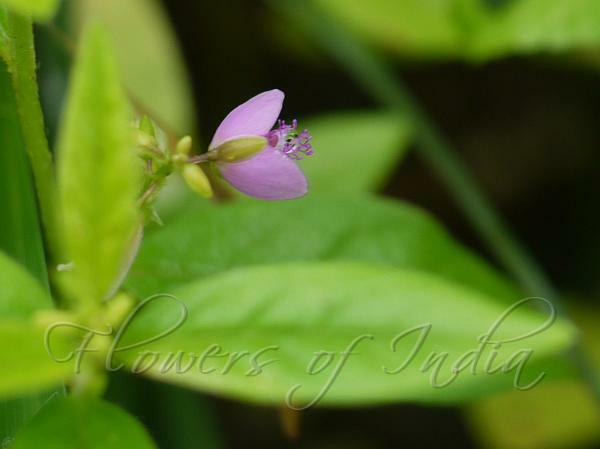 Leaves are elliptic-oblong to linear-lanceshaped, 1.5-4 cm long and 2-6 mm wide. Flowers are born in racemes 3-6 cm long. Flowers are rose-pink, 3 mm across. The flowers have 5 sepals, which persist till the fruiting stage. Outer sepals are 3, smaller. The two inner ones are nearly circular, larger, petal-likem about 6 mm in diameter. Petals are 3, joined together in the lower half. Lateral petals are obliquely rhombic, inside hairy at basie. Keel cucullate, ciliate, apex with 2 bundles of linear appendages. Capsule is oblong or orbicular, about 5 mm, narrowly winged. Flowering: July-September.